Note: Click on screen images to view larger image. 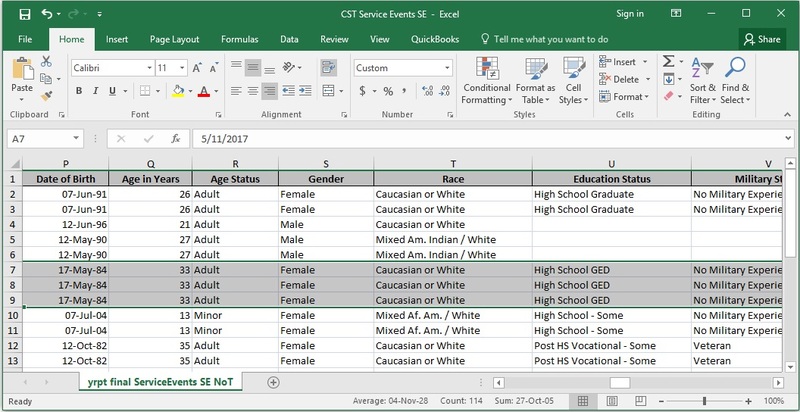 Reports come out as Excel spreadsheets, and contain all data fields associated with the records listed. 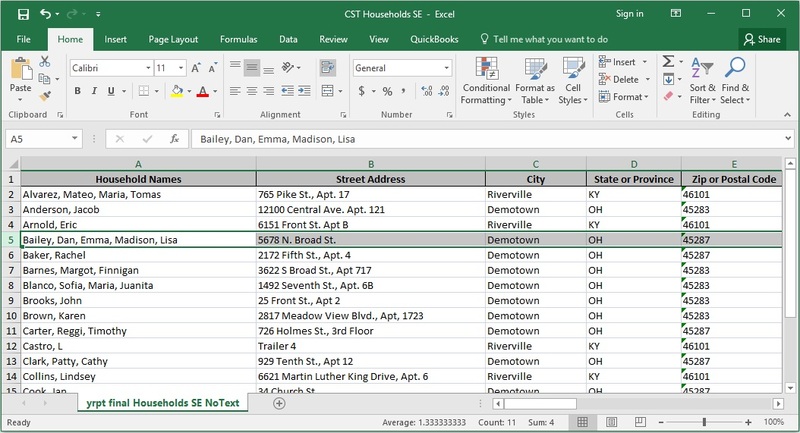 These spreadsheets allow you to use Excel capabilities to analyze the data. 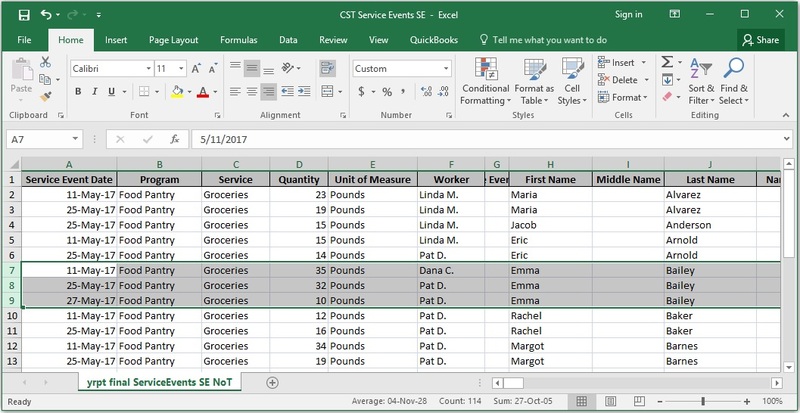 These capabilities include such as sorting, PivotTables, and functions. For example, this spreadsheet lists all instances of Food Pantry Groceries given in May. Emma Bailey had three such instances, and all of her demographic data is listed each time. 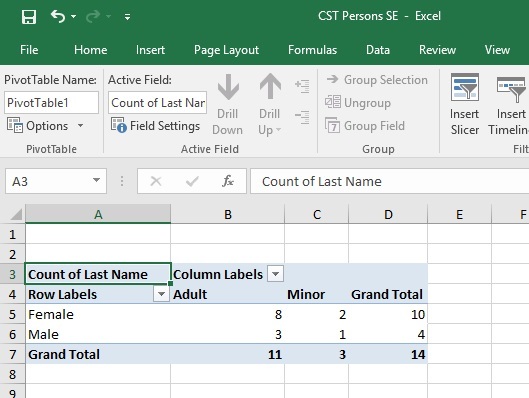 In the example below, this same spreadsheet has had a PivotTable inserted into it, to easily summarize the data. We see that for all people who received Food Pantry Groceries, 8 were female adults, 2 were female minors, 3 were male adults, and 1 was a male minor. 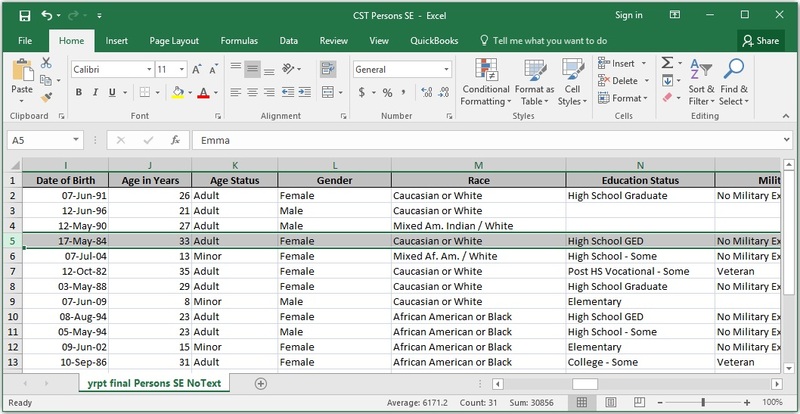 You could use Excel to get this type of summary for any two demographic fields. 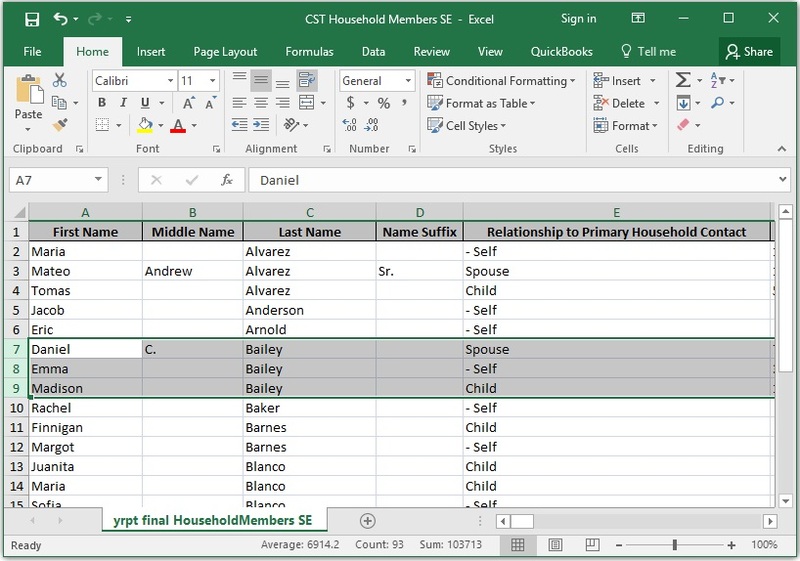 The highest summary level is the household, with one line per household, regardless of whether only one or several people in the household received an instance of service or had a particular outcome. 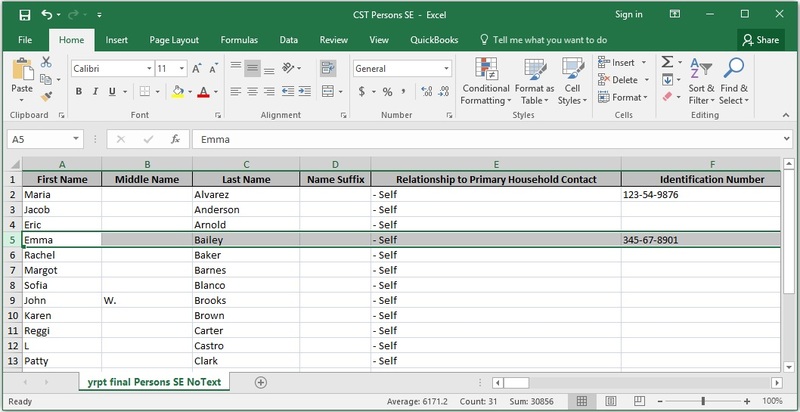 It is also possible to get names and demographic data on everyone in a household, even if only one person received that service. The Reports Switchboard is easy to use, and allows for a huge number of possible different reports. 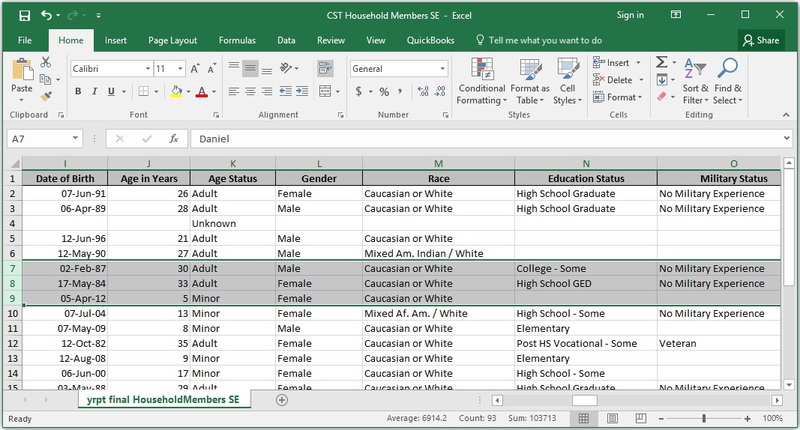 The report selection criteria are set in the top half, and the type of report desired is set in the tabbed areas of the bottom half. 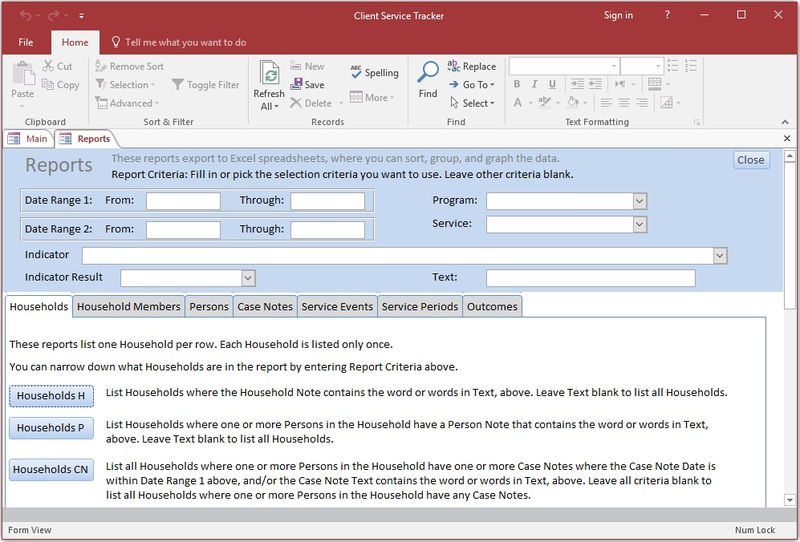 You can get various types of reports of Households, Household Members, Persons, Case Notes, Service Events, Service Periods, and Outcomes.